Ian isn't crazy. Life would be a lot simpler if he was. He's eighteen, on the run, and scared - the shape-shifting delusions he's had since childhood have turned out to be real. He's the result of a dynamic mimicry project intended to help undercover agents "go grey" and blend in unnoticed. 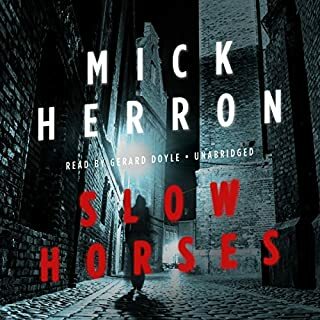 Now the biotech company wants its property back, and the only people he can trust are two private military contractors sent to find him: Rob, a former Royal Marine who's struggling to adjust to Civvy Street, and Mike, heir to a wealthy American political dynasty, who only ever wanted to be an ordinary guy. While the company hunts Ian, the two contractors try to help him harness his disturbing ability. But first Ian's got to work out what identity really means - and Mike and Rob have to decide how far they'll go to give him the chance of a normal life. ©2014 Karen Traviss (P)2014 Audible Inc. 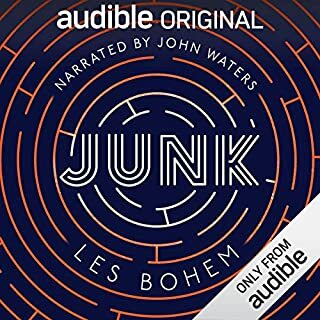 I am thrilled I bought this audiobook/book. It is a moral tale. as Si Fi often is, told through the eyes of three remarkable men, two of whom are men trained from different forms of military who recognize each other as worthy of respect. The third comes more from a military biological ordinance and still had training as strict, if not as straight forward. Sometimes avoiding spoilers makes things sound bland, and this is most definitely not. I am amazed by authors who can weave three different back stories into one tale, especially an action tale driven by characters. Which is to say this is such a great I still committed more than 20 hours to it. Good story. Good voice acting. Terrible production. At least 16 bad splice edits. At first I was disappointed that this is a book with multiple POVs, because there is always one character who's view I like best and one or more that I wish I could skip. This is one of the few books where I didn't just get used to the different views, but actually started to like them. The story is different and keeps you interested till the very end (and even further, I hope there will be a book 2!) and the characters are well fleshed out and very likable (except for Kinnery and Weaver, but hey, they're not supposed to be). 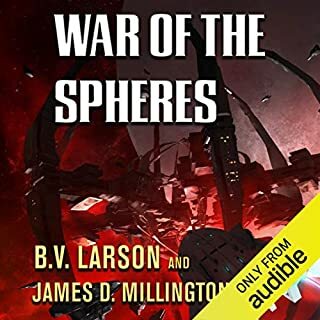 The narrator was great also, giving every character a distinct voice and doing a good job of keeping them throughout the different POVs (even keeping the accents! All of the narration in Rob's POV was read with a British accent). Plus, I like his voice, it's a good voice to listen to, even for over 22 hours. The only thing that bugged me was the very sloppy editing, as others have mentioned. There are several repeated lines and hickups, and that should not happen in a professional production. So yeah, minus one star for that. Still, this book was well worth the credit! 10% science fiction 90% contemporary mil. Just not quite what it was billed as. It's a good enough story. Well crafted enough to keep me listening... But it was sold as science fiction. The science fiction was there, kinda, but at best it was completely tangential. Could have been replaced with 1/2 dozen other plot devices without a ripple. I would probably have still bought it and even given a 4th star if it had been marketed as straight MilFiction. Did anyone edit this recording? 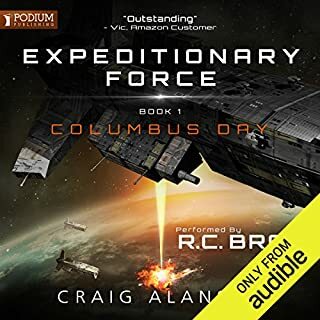 Interesting action thriller, great narration. The language, especially the slang is a bit off for the Americans, understandable with British author and reader. The biggest problem I have is the crap editing. This is full of repeated lines, not just a glitch, but a line then a slight variant, just sloppy. 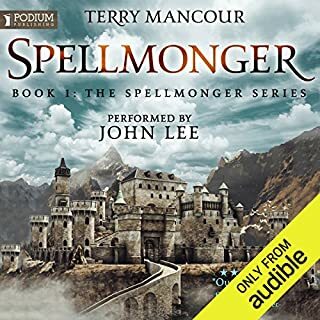 A good, entertaining story with a good narrator. However, the editing had several sentences read twice throughout the book which was distracting and annoying. 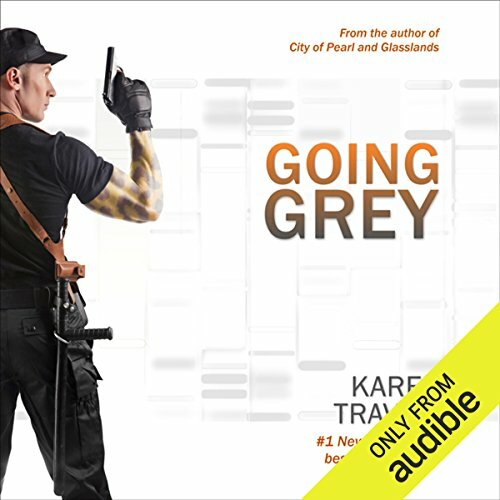 Where does Going Grey rank among all the audiobooks you’ve listened to so far? I really enjoyed this book. It's a bit wordy, but I really don't mind that in a audio book. It reminded my of listening to The Great Gatsby; sometime you just want to get on with the story. However I felt the timing and rhythm held together well and the exposition adds to rather than detracts from the plot. There are lots of strong, likable, characters here, with a villain or two thrown in. Not much in the way of moral ambiguity to muddy the waters. The set up for a series is clear, and I look forward to the next book. What made the experience of listening to Going Grey the most enjoyable? Karen Traviss has a gift for tackling complex subjects with moral ambiguities. I find it enjoyable to read how each character works through them. What was one of the most memorable moments of Going Grey? The main character learning how to morph. You really felt for him and the difficulties he was experiencing so it was a victory you could empathize with when he got a handle on his talent. What does Euan Morton bring to the story that you wouldn’t experience if you just read the book? He has a knack for encapsulating each character, even female characters, that makes you really see each person and get to know them by voice alone. There is not a lot of combat sequences in this book. 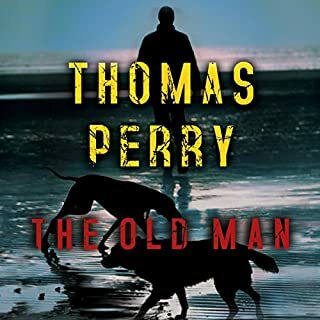 It discusses moral quandaries and their impact to each character, but this fleshes each of them out to the point where you really feel you know a person, not a character in a book. Absolutely love this series! such a great concept. It'd be a great TV show. The narrator struggles a bit, flip flopping between posh American to hardy Bristolian accents at times. But he doesn't put you to sleep. What did you like most about Going Grey? What does Euan Morton bring to the story that you wouldn’t experience if you had only read the book?